Explore Venice through its many fountains and water wells spread in the city and visit the lively area of Cannaregio district and the Ghetto. STANDARD RATE - Cancellations made more than 48 hours prior to the starting time of the tour receive a full refund. Cancellations made 48 hours or less prior to the starting time of the tour attract a 100% cancellation fee. HOT DEAL RATE - Changes and cancellation not allowed; refund not allowed. By booking the tour the customer declares/covenants that: "I wish to take part in a running tour. I understand that the tour is a physical activity. I am physically fit. I understand my physical limitations and am sufficiently self-aware to stop physical activity before I become ill or injured. I acknowledge to be 18 years or older or/and legal guardian of minor under 18 years. 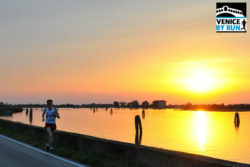 I understand that by booking the running tour, I am waiving my right to assert any claim or cause of action against Venice by Run and its employees in my exchange for taking part in a running tour event."